Discover the River Club and all it has to offer with RE/MAX Southern Shores! The homes for sale in the River Club, situated on the River Club golf course, are nestled among hardwood trees draped with Spanish moss. Residents enjoy beautiful water views and lush, green fairways throughout the community. The River Club in Litchfield affords the lucky homeowners not only a large outdoor pool and mature landscaping, but also access thru Litchfield By The Sea to a private ocean beach! Properties include golf course homes and condos. 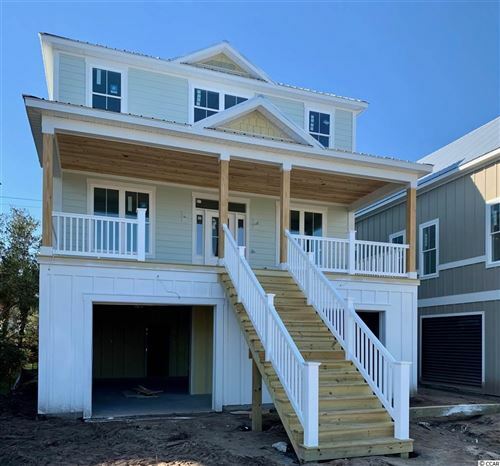 Everything you have dreamed of in comfortable, coastal living is here for you at The River Club near Pawleys Island. The semi- private River Club golf course, located in the heart of Litchfield Beach, SC, is one of the Myrtle Beach Grand Strand’s highest rated golf courses, receiving 4.5 stars in Golf Digest's "Places to Play." True to its name, River Club Golf Club features water on 15 of 18 holes, and over 100 sand traps and bunkers. Featuring the only bent grass greens in the Pawleys Island area, this Tom Jackson course is a favorite of locals and visitors alike. Come discover southern living along the Grand Strand with a RE/MAX Southern Shores agent. RE/MAX Southern Shores has a reputation of excellence and personal integrity. Our goal is to exceed your expectations throughout the entire real estate process. Our skilled agents are dedicated to your needs; whether your interest is purchasing a primary residence, a second home for vacation, or an investment, RE/MAX Southern Shores agents draw upon a wealth of knowledge and experience. Call RE/MAX Southern Shores today at 843-839-0200 to make your dreams of southern living at its best come true!